Bodhidharma (also known as: Bodhi Dharma, 达摩祖师), Buddhist Chan (Zen) School twenty eighth generation patriarch, also known as the “East soil first generation patriarch. With Zen Master Po Chi, Fu Dashi collectively referred to as the three major Chan Master during the Chinese Liang Dynasty . He came to China by the sea during the Southern Dynasty (5th/6th century A.D.). When he arrived the Southern Metropole Jianye he met with Emperor Wu of the Southern Dynasty, but his teachings was not understood so the master left. 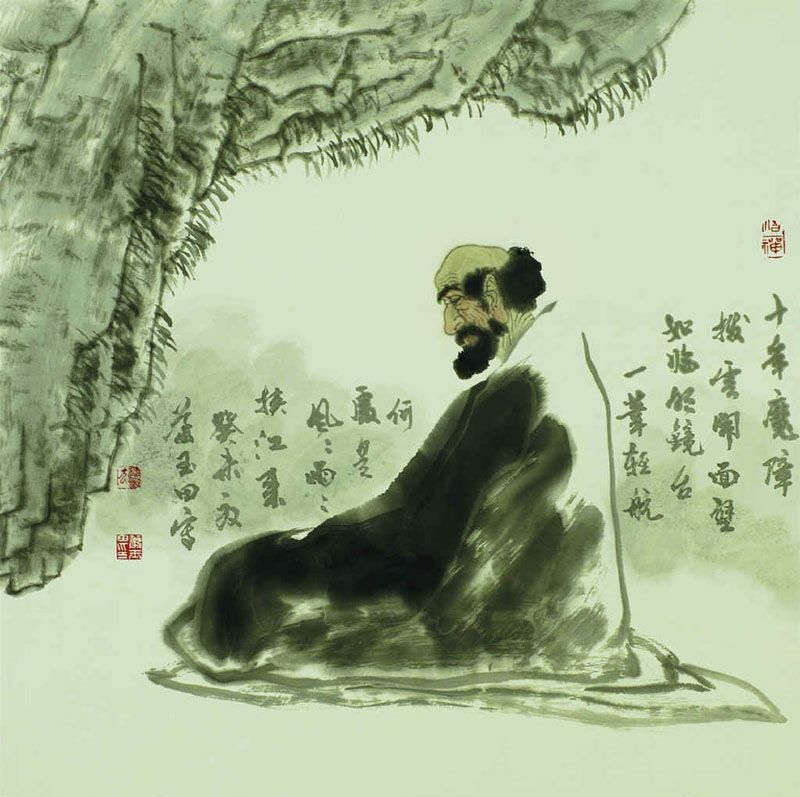 After that, Bodhidharma went northward to the Northern Wei Empire, and settled down in Song Shan Shaolin Temple, where he meditated for nine years facing the wall . His teachings was later transmitted to the second patriach Weike.